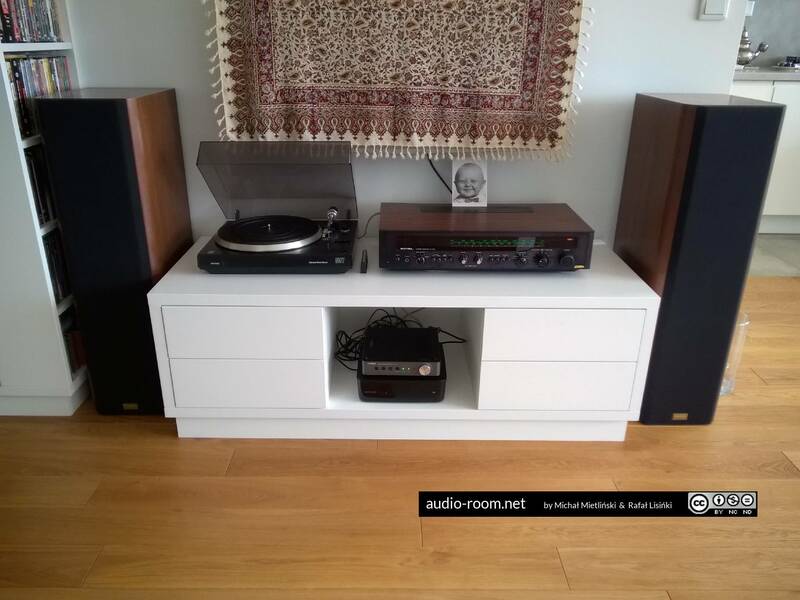 We present the second system we recently put together based on Quadral speakers; this time we used excellent floorstanding model Amun MK V with ribbon tweeters. In this case, the concept of the system changed quite significantly during discussions with future owners and preliminary listening sessions. 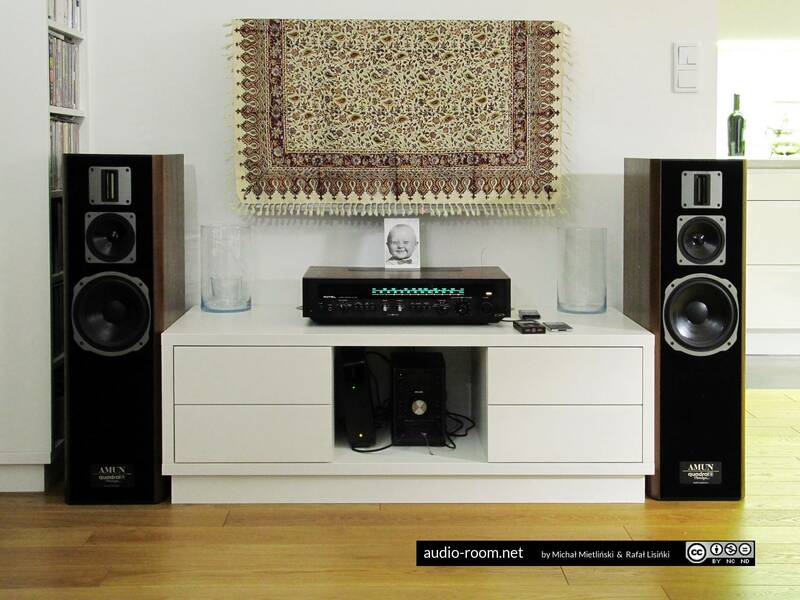 This system was intended for a medium-sized living room (20-25 m2). 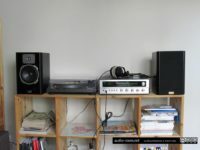 Initially, the future owners planned to buy used KEF C85 speakers (or another model from this KEF line) and pair them with a modern home theater receiver with network functionality. 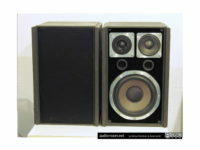 Since KEFs from this line are quite rare, we proposed considering Quadral tower speakers. During a listening test (we listened with Quadral Amun MK V and Quadral Aurum 5), the future owners were nothing short of amazed by the sound of Quadral loudspeakers, especially praising the soundstage, depth, layering and fullness of sound and a very good resolution even at very low volume, as well as extremely pleasant highs produced by the ribbon tweeters. 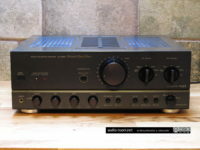 We also used the opportunity to demonstrate the difference between the above speakers connected to decent stereo amplifiers with higher and lower power (Inkel MD2200 amplifier – 100 WPC, Rotel RX-602 receiver – 35 WPC) and the same loudspeakers playing with a decent HTR (Onkyo TX-SR605 – 90 WPC). 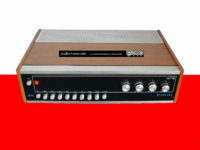 There were no surprises, the sound from the home theater receiver was clearly worse (flat, compressed, with worse dynamics and less bass) not only compared to the stereo amplifier with similar output per channel, but also with significantly less powerful (on paper at least) stereo receiver. 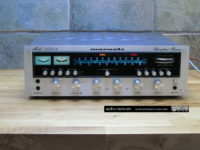 This caused a change in the receiver concept, the future owners decided not to bother with an HTR and went with a vintage stereo receiver instead. 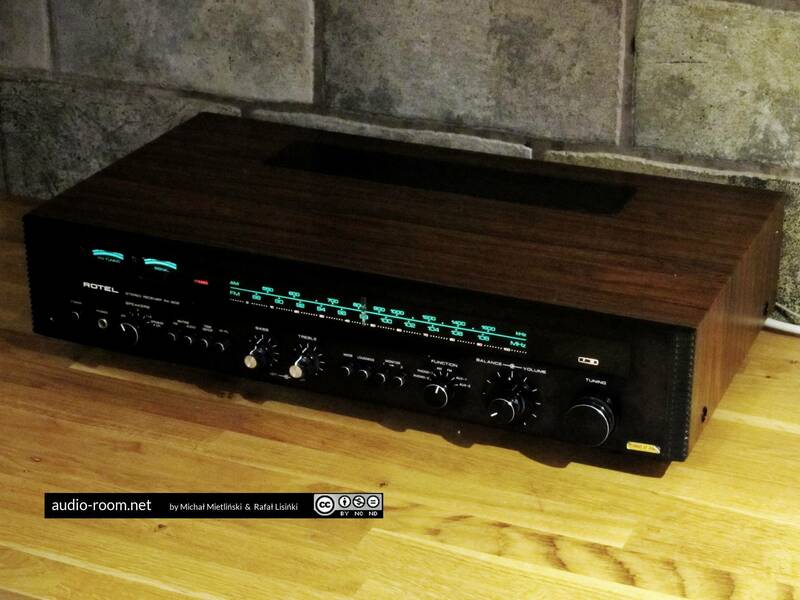 Rotel RX-602 appealed to them not only in terms of sound, but also visually. 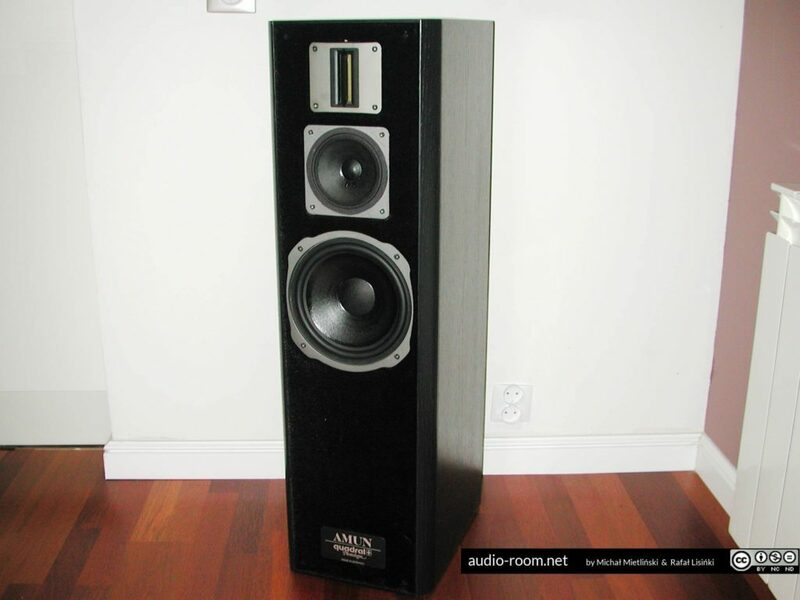 With regard to speakers, we considered a few Quadral models, but since it turned out that the speakers would have to stand quite close to the back wall in the target room, we ultimately decided to go with closed Quadral Amun MK V, which would suffer much less from such placement than ported speakers with bass ports in the back. There are many versions of Quadral Amun (at least seven), but the MK V is the only closed model. For now, the sound sources are an iPod, a phone, a TV tuner and a small Philips system that serves as a CD player. 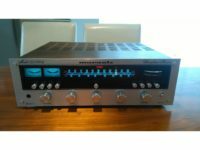 But the price difference between the Rotel RX-602 and a new HTR with network functions is so big that the owners of this system have saved enough money to consider expanding the system with a network player (for example a Yamaha WXC-50), which will probably be the next component of the system. 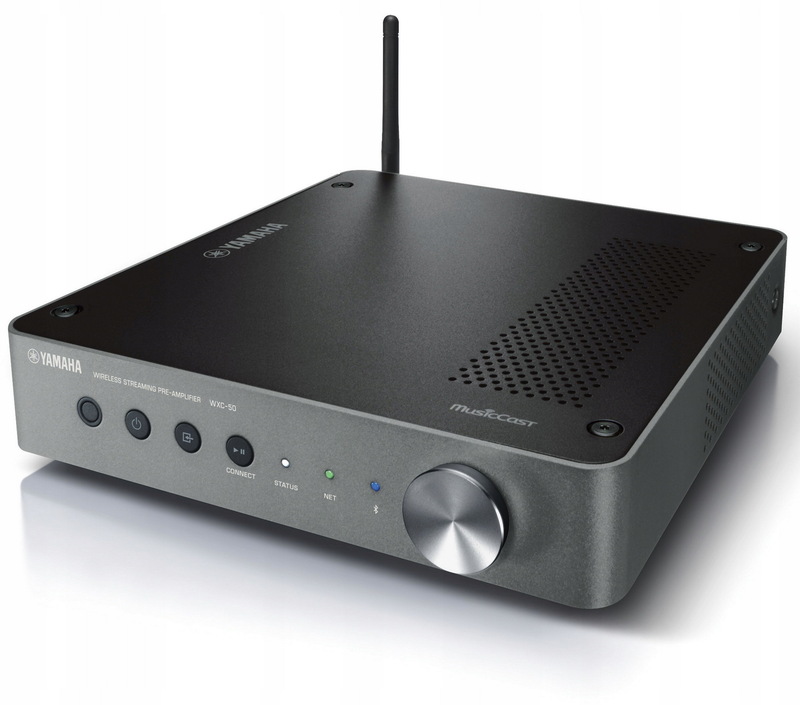 The Philips mini system will eventually be replaced with a standalone CD player. 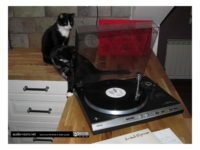 The owners also plan to add a turntable; we are quite certain that the 40-year-old Rotel’s phono stage will also work better than whatever we would find in an HTR. 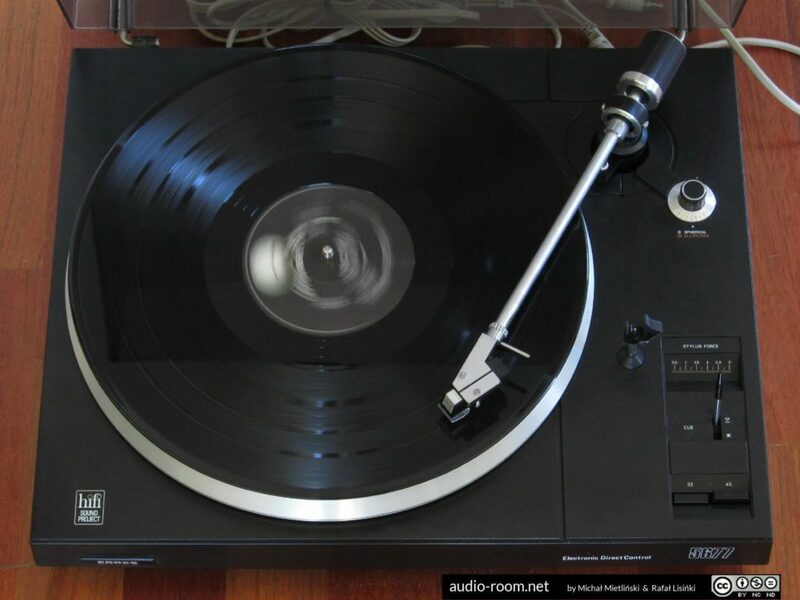 We added an Erres 5677 turntable to the system; it is a Philips 22 AF677 under the Philips brand for the Netherlands. An inexpensive, decent semi-automatic deck with belt drive and a very good speed control system. 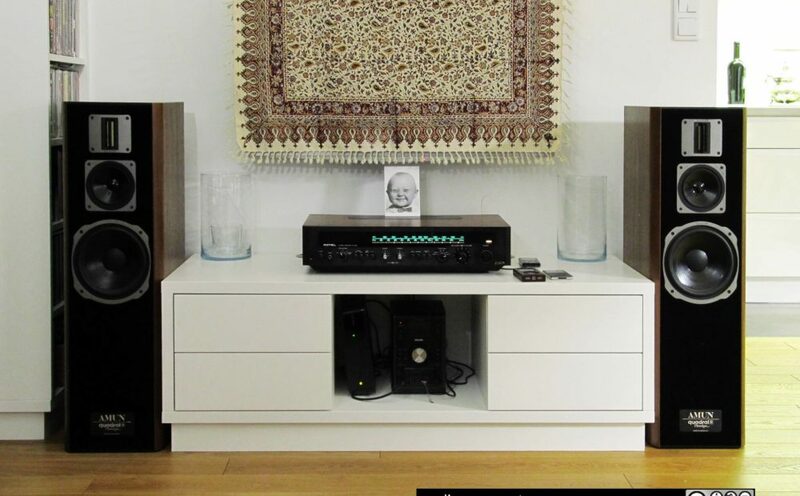 The system has also been expanded with Yamaha WXC-50 network preamplifier/player, which gave the possibility to switch between and remotely control the volume of some sources, and improve sound quality of Spotify compared to using a phone as a direct source of streamed audio.